MCC’s compact invested $170 million to help farmers grow and sell more rice, tomatoes and onions by rehabilitating and expanding irrigation in northern Senegal. Rice holds a special place in the minds of many Senegalese. It’s standard fare at meals, and many of the country’s northern, rural residents rely on rice farming as a primary source of income. 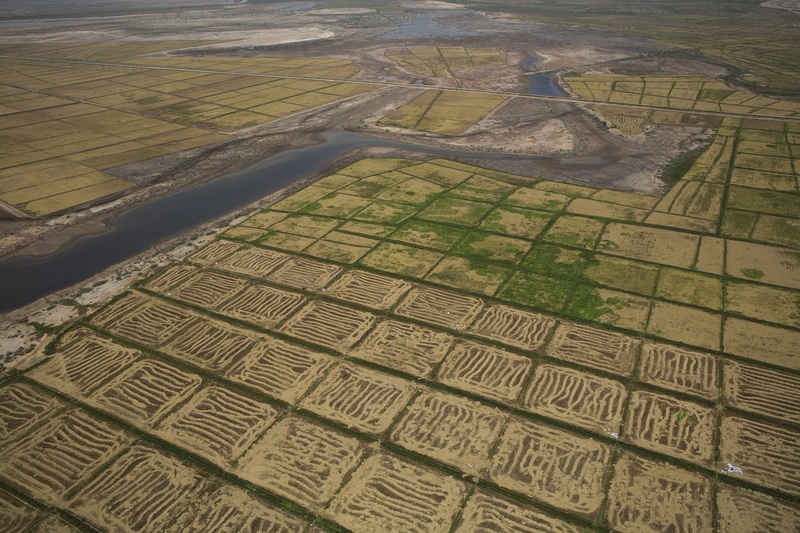 But rice farming has become tougher in recent years in the Senegal River Valley, the country’s rice heartland. The system for delivering water to the fields was in need of upgrading, and in some areas, many farmers were abandoning their fields because of soil salinization and unreliable water supply. Now, Senegal’s northern rice farmers have good reason for optimism: The Millennium Challenge Corporation’s five-year, $540 million compact that has invested in upgrading the Senegal River irrigation systems. The compact was designed to increase rural incomes and boost the economy of the Senegal River Valley while helping Senegal feed its people and trade with neighboring countries. 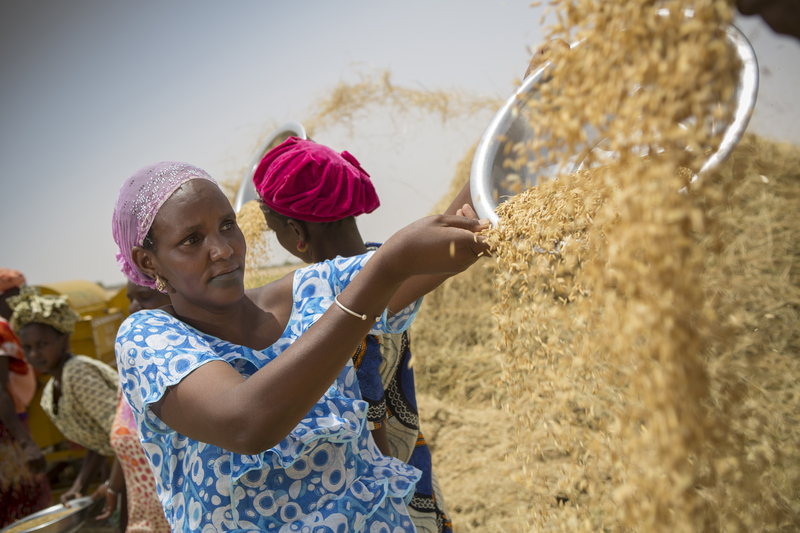 Part of Senegal’s national strategy includes producing all of its rice domestically by 2017. MCC’s compact has supported that goal by investing in irrigation and land rights. Both are critical to helping Senegal realize its vision of a more food secure country. MCC’s compact invested $170 million to help farmers grow and sell more rice, tomatoes and onions by rehabilitating and expanding irrigation for nearly 87,000 acres in the Delta, and created a 1,100-acre irrigated perimeter in Ngalenka. Diop’s group farms rice in the Delta, where the existing irrigation scheme was faltering and forcing people away from agriculture. The unreliability of water and poor drainage meant farmers in the area weren’t getting enough water when they needed it, and too much salt was left behind. MCC’s investments in the Delta system were designed to include 130 miles of primary and drainage canals. MCC is also working closely with the Government of Senegal agency that provides water supply and drainage services in the valley to improve its financial sustainability and operational efficiency to create a performance-oriented maintenance management system. For the first time in years, Diop said, people in the area see rice farming as their future. Diop is taking the profits from this year’s bumper harvest and plans to buy more land and better equipment, including a tractor and a harvester. Mouhamadou Moustapha Diack, the first deputy mayor of the northern town of Diama, believes the irrigation will help transform the region. Binetou Diom Ba, the president of a women’s farmers association in northern Senegal, said the MCC-funded irrigation perimeter in Ngalenka is helping the group’s members bring in much-needed extra income. In nearby Ngalenka, MCC funded the construction of a new 1,100-acre irrigated perimeter. The project included land levelling, new pumping stations and construction of 5½ miles of primary and secondary canals, a 3.8-mile protection dike, 10 miles of drains, water control structures, and 21 miles of access tracks. Farmer Ibrahim Ba grows rice on 2½ acres of land. In the past, he relied on the rains and hoped he could grow enough for his 10-person household to live on throughout the year. The irrigation has changed that, he said. His first yield with irrigation produced 90 bags of 132 pounds each. That’s 20 more bags than he produced last year. Binetou Diom Ba, the president of a women’s farmers association of 173 members, said the irrigated land is helping the group’s members bring in much-needed extra income. She plans to invest much of her extra income in better farm equipment, as well as pay for school and health fees for her three children. But an even more impactful step than the irrigation, Ba said, was that the women’s cooperative received a dedicated plot of land and a secure title to it. She credits MCA-Senegal for its work in convincing residents in the area to sell the land to the women. “That’s the first time anyone around here can remember something like that happening,” she said.